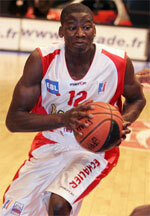 CEP Lorient (NM1) agreed terms with 31-year old Mali ex-international point guard Ibrahim Saounera (179-80kg-87). 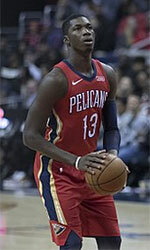 He has played for the last three seasons at Vendee Challans Basket. In 25 NM1 games he had 11.1ppg, 2.7rpg, 5.4apg and 1.2spg last season. Saounera won French NM2 Group B championship title in 2011. He also represented Mali at the Afrobasket Championships in Rades (Tunisia) three years ago. Saounera has played previously for six other teams: Chalons Reims, Cognac BB, Rueil, Saint Vallier, Boulazac Basket and Orchesien BC.